Following our announcement in January as 12th fastest growing B2B Marketing Agency, we’re continuously pushing to grow both ourselves and our clients – and the award nominations are a great recognition of this. 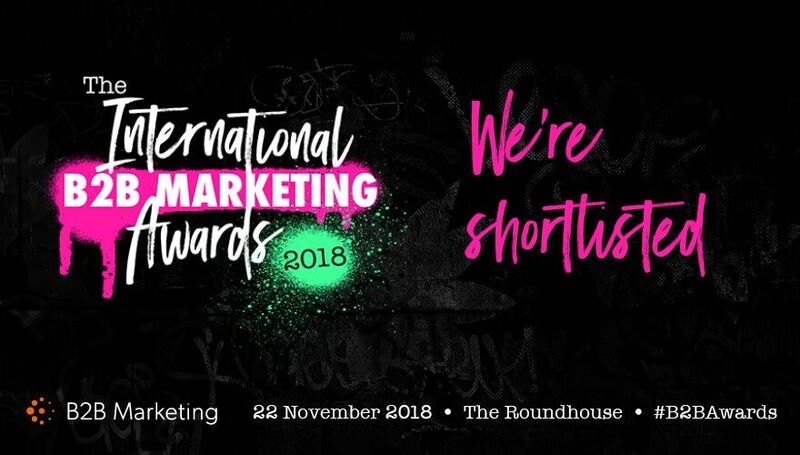 To add another string to our bow, we’re also honoured to be B2B Marketing’s Creative Partner for the entire event and our creative team have been working tirelessly to bring to life the award concept for the wider B2B audience. Both our team and our clients are eagerly awaiting the results which will be announced 22nd November at London’s Roundhouse. Looking to win an award for your marketing activity? We can make that happen! Give us a call on (0)23 9231 5607 or email us at info@reallyb2b.com to discuss how we can supercharge your marketing both now and in the future.